The art was planned for Twilight Princess, but eventually discarded. Link from The Legend of Zelda series has not aged much over the years. 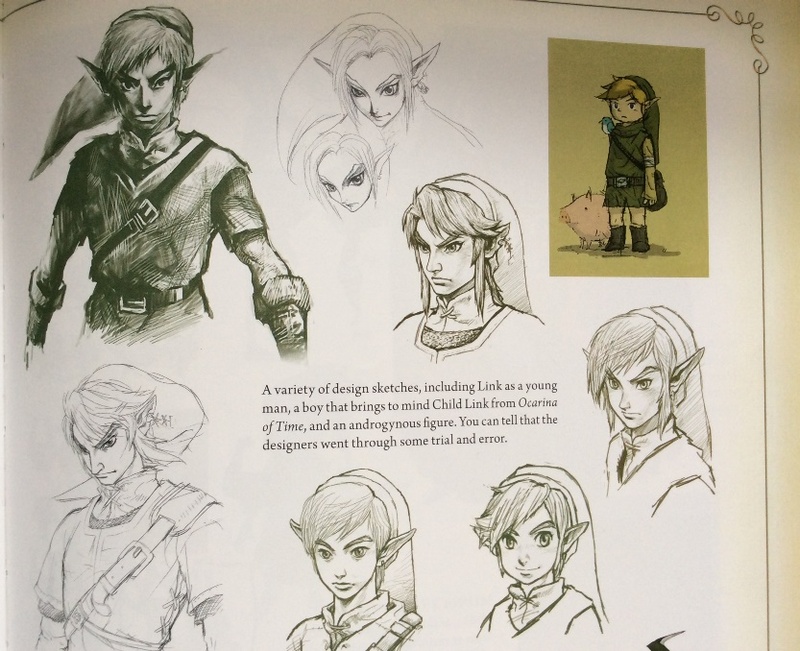 However, when Twilight Princess was in the works, the artist tried to make him in his mid-to-late 20s, but it was never approved, according to a new art book released by Nintendo. The Legend of Zelda: Art and Artifacts (via Nintendo Everything) includes a chat with artists Yusuke Nakano and Satoru Takizawa talked about creating concept art for a new Link in The Legend of Zelda: Twilight Princess bfore the story had been set. "For the face, I talked at length with Takizawa-san as I started to sketch,: Nakano said. "I wanted him to be a little bit older. The Link up till now had been in his teens, but for this one we were talking about making him around 25… maybe even 30. ... He would be well built… A skinny man with a pretty face wouldn’t stand a chance against a large enemy, so we thought about making him quite sturdy. So the first illustrations were, in a way, pretty amazing." Takizawa added that they even toyed with "a square-jawed, burly-looking Link too." Unfortunately, the art was shot down. "When I showed the sketches to the overseas staff, the response I got back was, 'What the fans want is the Link they saw in Ocarina of Time,'" Nakano said. "So in the end, his face and body type were made similar to that of the adult Link from that game." One of the big points in the game is where Link turns into a wolf, but that idea came after the initial concept art was done, Takizawa said. "So the sketches of Link later on had him looking much more wolf-like and wilder. At one point, there was talking about giving him a Japanese haircut style called a wolf cut, which would have given him a more wolfish look." Nakano said he made Link's eyes match his wolf form, "but the sketches I made for the front, back, and side views didn’t make him look very wild." The images of an older Link are no surprise, as they were included in a Dark Horse book called Hyrule Historia back in December 2011. But at the time, there was no indication of what the artists were shooting for with the designs. The new 400-page hardcover book, which comes out tomorrow, spans the 30-year history of the series, including the upcoming The Legend of Zelda Breath of the Wild scheduled for release on March 3. That's actually slightly older than I was thinking. Most of the games where he interacts with others, particularly in the beginning of the game, would put him more like college or late highschool aged. Where is this concept? Is this a story about an image without the image? I guess it's supposed to be this?